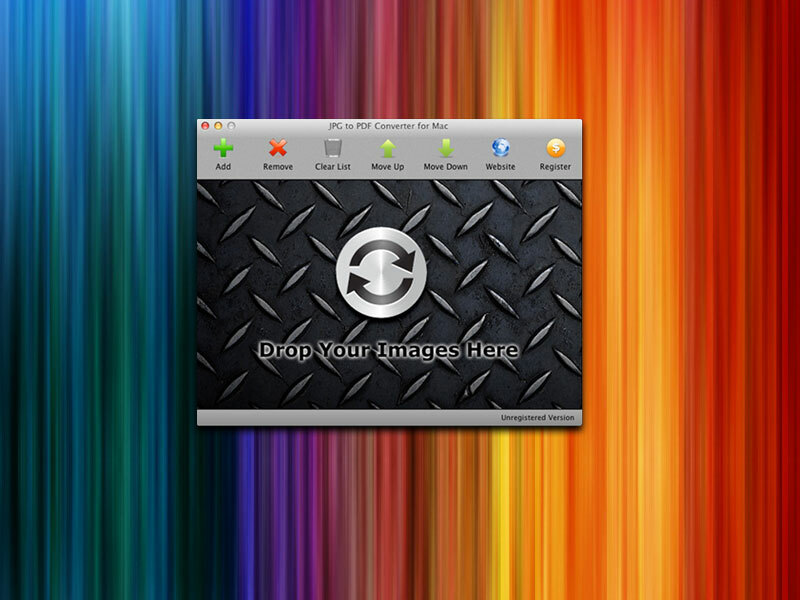 JPG To PDF Converter for Mac creates PDF documents from image files that you select. Simply drag and drop your images and photos onto the application, and click Convert Now button to start the task. If you want to change the page sequence, simply click the Move Up or Move Down buttons, or drag the image path and drop to the correct row.